In the final hours of childbirth, before I pushed my firstborn out into the world, my pain intensified and I slipped into survival mode…. More than 36 hours of laboring had thoroughly exhausted me. I couldn’t even keep my eyes open. My doctor sat on a rolling stool at the foot of my bed. He tried to assist me during a “tsunami” contraction. As he lifted the lip of my cervix over my baby’s head, involuntarily, I shrieked and shoved him across the room. 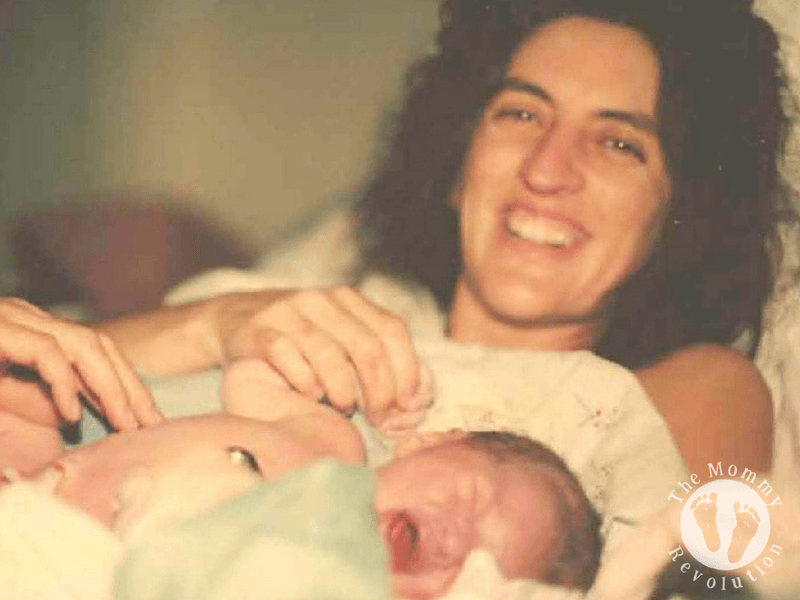 All my energy spent, though I had hoped to give birth naturally, I surrendered to an epidural…. Surprisingly, 30 minutes after that horrifying needle slipped into my spine, I found myself joking with the medical staff, revived and ready to push. Truth-be-told, I might not have survived the birth of my son without medical assistance. Although I’m no expert on birthing babies, and I realize many have strong opinions on the subject, (every momma has a story to tell), it sure seems to me like the final years of homeschooling share a lot in common with childbirth. I have homeschooled our two sons since the beginning, and now they are both in high school. As graduation day appears on the distant horizon and the weight of academic requirements, career planning, and college choices begin to intensify and my strength and endurance begins to wane, it is easy to slip into “survival mode.” This is no time to shriek and shove, but it is a fine time to surrender—to The Great Physician. Just as I needed my doctor to guide and assist me when I gave birth to my firstborn son, I need The Great Physician to guide and assist us through the final years of our homeschool journey. Our need for God becomes even more apparent when I hear stories of what my sons might encounter once they graduate. In Worshipping the State, Benjamin Wiker, Ph.D., tells a story about incoming college students who were forced to participate in an exercise intended to shame and punish those who held “politically incorrect” opinions. All the students were required to stand along one wall if they supported social causes that included the right to gay marriage or abortion—and along another wall if they did not. As you might guess, biblical values and those who stood for them were perceived to be “oppressive.” Although there is more to this story, it is safe to say that this college has become a model that other colleges are beginning to emulate. (God help us.) It gives us a glimpse into the type of challenges our children are likely to face as they leave the shelter of our homes. Fear of God is the beginning of wisdom. It can help us resist the temptation to sin. Thinking back to that college “exercise,” I’m reminded of another warning. Jesus said that if we are ashamed to be publicly identified with Him and His Words now, He will be ashamed of us when He returns in glory with His angels (Mark 8:38, Luke 9:26). A sobering thought! 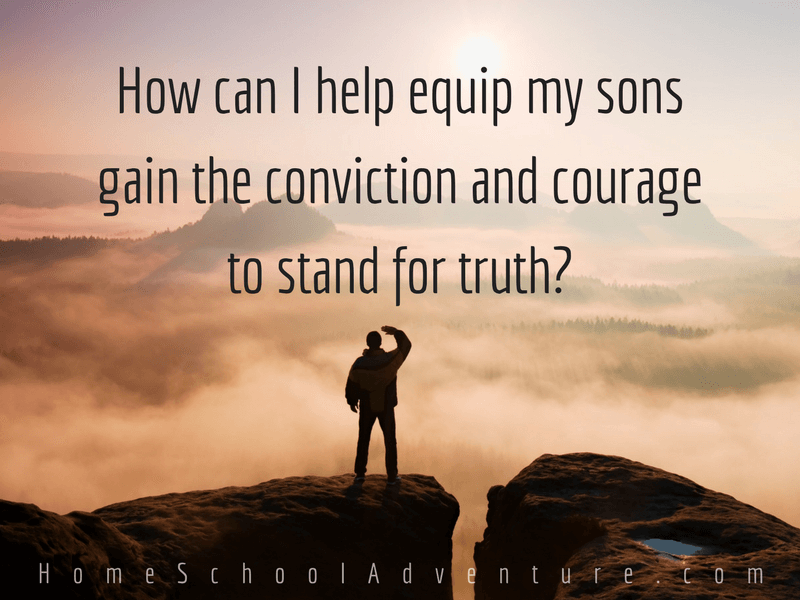 So how can I help equip my sons gain the conviction and courage to stand for truth? 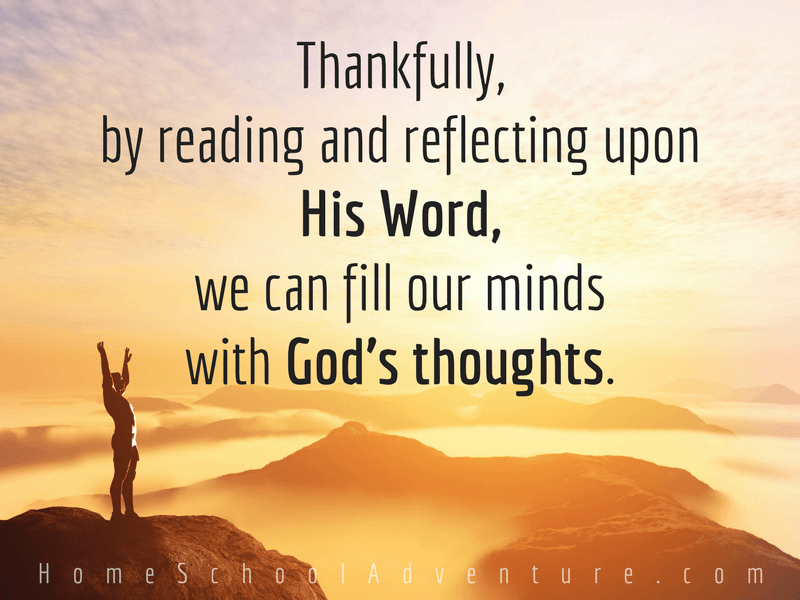 Early in our homeschool journey, a number of Bibles verses surfaced as the guiding principles for our homeschool. Today, when I find myself slipping into a worldly mindset—focusing exclusively on temporal concerns and losing sight of the bigger picture—I revisit those Scriptures and regain a biblical perspective. Our children may invest 4 years attending college, and perhaps 40 years working in one or more careers, but they will spend endless years in eternity. Our family places a high value on critical thinking. Consequently, in addition to math and science, we study history, economics, philosophy, and apologetics. (In fact, we created Philosophy Adventure, a curriculum that presents ancient Greek philosophy from a biblical worldview.) We use resources that present each subject from a distinctly biblical worldview. We take time to discuss controversial issues and how they are perceived by different worldviews. Thought precedes action. The next Scripture impressed upon me the need for mental purity. My sons, (like the rest of us), will experience trials and temptations. When they do, how they respond will depend greatly upon their thoughts. In our home, we often discuss how nothing is hidden from God. Before we even think—much less speak or act—God knows what’s on our minds (Ps. 139:2). Thankfully, by reading and reflecting upon His Word, we can fill our minds with God’s thoughts. Use words. Although our actions may communicate what we truly believe, we also need to communicate with words. If my sons are serious about following Jesus, some of their choices will set them apart from the crowd. When that happens, people may ask why. In 1 Peter 3:15, we’re told to be prepared to answer their questions with gentleness and respect. Consequently, we have invested a great deal of time developing our communications skills. Speech and debate club and tournaments have been an excellent place to practice them. Seize the day! Ephesians 5:16 urges us to make the most of every opportunity for the days are evil. Some days we seize; some days we stumble. We are grateful for God’s new mercies every morning (Lam. 3:22-23). My sons know that one day they will stand before God to give an account of what they did with the talents He entrusted to them (Luke 19). They know that to whom much is given, much is required (Luke 12:48). We all understand that we have been given quite a lot. I pray that this understanding continues to impact their work ethic and the choices they make throughout all the days of their lives. I have heard it said that we begin dying the moment we are born. 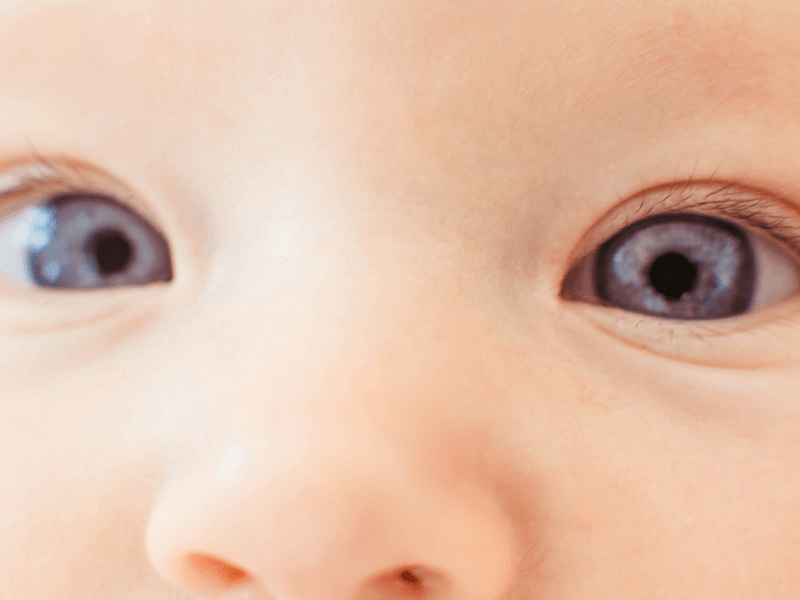 Peering into the eyes of a newborn, that’s hard to believe. It’s also hard to believe how quickly that newborn can become a young man. Although my focus rightly shifts now to helping my sons prepare for college and plan their careers, it is essential we labor with eternity in mind. All of this life is preparation for the next. Thank you for this post, as a mother of a brand new baby boy I can’t help but worry and pray about the future of my little son, this post has eased my worries some and given me some wisdom on how to guide my child.